Organizations representing Montreal's Haitian community issued a joint appeal with Quebec's Red Cross Friday for donations to assist emergency relief efforts now underway in Haiti in the wake of Hurricane Matthew. Organizations representing Montreal's Haitian community issued a joint appeal with Quebec's Red Cross Friday for cash donations to assist emergency relief efforts now underway in Haiti in the wake of Hurricane Matthew. The storm killed at least 842 people, and that number is climbing steadily as authorities confirm fatalities. Another 61,500 were left homeless. At a news conference Friday, Myrian Marotte, communications director for Quebec's Red Cross, said more than 350,000 Haitians are in immediate need of help. Marotte said the organization's short-term priority is to raise funds to help Haiti's Red Cross reach 50,000 people in areas hardest hit by the storm. "They are considered the most vulnerable, in areas that are difficult to access, and we need to get to them as soon as possible," she said. Most of the fatalities were in towns and fishing villages around the western end of Tiburon peninsula in the country's southwest, one of Haiti's most picturesque regions. Marotte said 3,000 Red Cross workers and volunteers are on the ground in Haiti. Donating money to the Red Cross is the most effective way to help, she said – a sentiment that was echoed by the gathered representatives of Montreal's Haitian community. "Funds help us obtain what we really need," Marotte said, using the example of water purification equipment and emergency shelters. "We have the structures in place to respond quickly and effectively, and funds help us provide that aid without delay," she said. The need is urgent because of concerns about a possible cholera outbreak in areas where water sources have been contaminated. 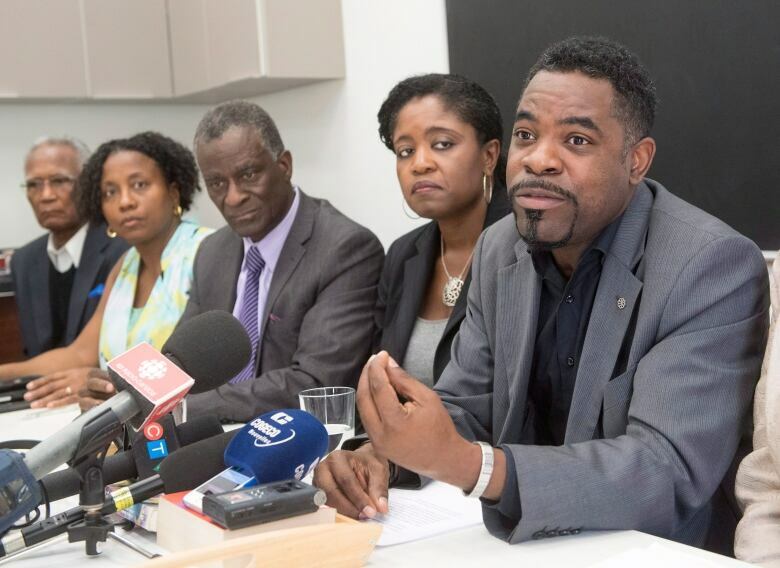 Villeray–Saint-Michel–Parc Extension city councillor Frantz Benjamin said organizations representing Montreal's Haitian community met last night and decided the Red Cross should be the focus of donations. "It has the expertise and experience in such situations," he said. He said Haitian Montrealers are hopeful that the Red Cross will work closely with organizations that know the affected areas and are tuned into local needs in specific towns. The Quebec government upped its pledge in emergency aid Friday from $100,000 to $500,000 to organizations working in Haiti. At a news conference announcing the boost in contributions, Quebec's Minister of International Relations and the Francophonie, Christine St-Pierre, spoke of Quebec's close relations with Haiti and the important place of Haitians in Quebec society. "We are with you, and we want to help," she said. "In response to this emergency, the government of Quebec wants to support the actions of these organizations on the ground so that the situation will improve as soon as possible," she said. Montreal Mayor Denis Coderre also spoke at the news conference, reiterating Montreal's pledge on Thursday to contribute $60,000 in aid. "If there are additional needs, we'll be there," he said. 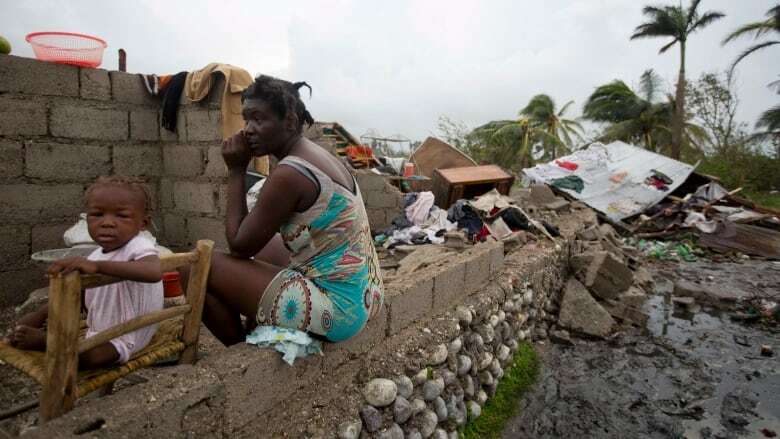 The federal government, meanwhile, has set aside $3 million to assist Haiti and released an initial $300,000 to the Red Cross, according to Marie-Claude Bibeau, Minister of International Development and La Francophonie. The Canadian Disaster Assessment Response Team (DART) has also been deployed, along with three Global Affairs experts and three experts from the Canadian Forces to advise on next steps for Haiti relief.